As an American of Polish descent, who maintains strong links to my first homeland, which I call “Motherland”, while working hard to contribute to my new American homeland, which I call “Fatherland”, I would like to voice my utter disappointment in the tenor of your two pieces which claimed to cover a topic of the Polish Independence Day marches of November 11, 2017. The damage to the good name of Poland that you managed to inflict with your careless reporting is immense. The number of vicious verbal attacks on Poles, as represented by the string of comments under the article was breath-taking. The level of sheer hatred directed at Poles and Poland was unprecedented. I know: you had nothing to do with them…but you, and your pieces, acted as an “agent provocateur”. I can only hope there will be, perhaps, legal, consequences. I have been reading the WSJ since the early 90s. Experienced Martin Sobczyk feeble reporting on Polish matters for many years. You, with your new post in Warsaw, seem to be taking up the same mantle of a good, liberal, Poland-bashing reporter. Please do not tell me that you have to report the bad things as well. You do not have to heap praises on Poland. I have no problem with you pointing out the bad that exists within Polish society. But your reporting is missing balance. It is so severely tilted to the “critical” left it pretty much falls of the ideological cliff. In the two articles you placed in WSJ you made many assertions, but failed to back them up with evidence. This is how we end up with fake news. You create a false narrative by cherrypicking “factoids” to prove your point (i.e. : Poles, especially young ones, are anti-Semites and Nazis). It almost looks like a paid-for “hit” piece. I watched close to 45 minutes of a video of the march, which one of the commentators attached: there was nothing, NOTHING, there that justified calling the participants antiSemites and Nazis. The slogans used were either anti-communist in nature, or praising the fallen heroes of both World Wars and post-1945 anti-communist insurrection. In the past years I participated in local independence marches – I can tell you: you are dead wrong in your broad-brush assertions. You claim in your piece that the marches were violent in the past (but not in the past two years, under the administration of Law and Justice). You fail to put that statement in perspective — let me help you. The marches were organized for many, many years. During the reign of center-left Civic Platform (the scions of the PRL socialist leaders) the violence was most probably instigated by security forces interested in discrediting the patriotic youth (vide the tapes of conversations of prominent Polish PO leaders recorded in 2014, and the story of burning of a guard-station at the Russian embassy – that story truly got legs!). In your reporting you may have attempted to be impartial: but you have failed. You picked only the events to back up the claim that Poles are turning to “fascism” and extreme nationalism, and are a threat to Jews. You must know what you are doing. 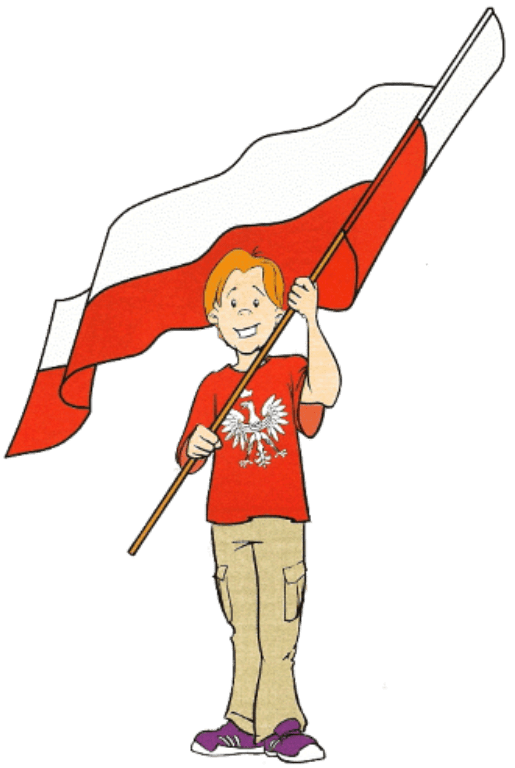 For a reporter, stationed in Warsaw, you are unable to understand the meaning of “patria” and “patriotism” as it was and is being experienced by the Poles. Maybe it stems from the fact that you have never experienced the loss of a place you call homeland. Maybe you do not care about calling any place homeland. That I do not know, and I can live with that. But Poles did and do care about their homeland. They fought for it, dreamt about it, lost it and got it back. They fought for other peoples’ homelands and freedom as well. And, as a consolation prize, they (and other Slavic peoples and Jews) were slated for extinction like the dodo bird if you read the goals of the “Ost Plan”. That is why they have the right to celebrate. All of them! And if there are some bad apples between the celebrants, so be it. But to concentrate solely on the “bad apples” and presenting that picture to the world – that is unpardonable. You give bad name to WSJ reporting from Poland. In the perfect world you should follow those pieces with a written apology to the Polish nationals. Thank you for putting so clearly and effectively the message so many of us at home have vaily attempted to deliver. God Bless you Anna….your piece was FAR more balanced than the reporting of the WSJ! At one point in the USA, the press pretended to be unbiased and fair….now they don’t even pretend….they are simply peddlers of their own outrageous and uneducated opinions that have very little if any roots in fact and reason….they are the lowest form to educated and tolerant society and should be relegated to the same regard as prostitutes and criminals.